NEW DONKEY FACE AT PARAISO! 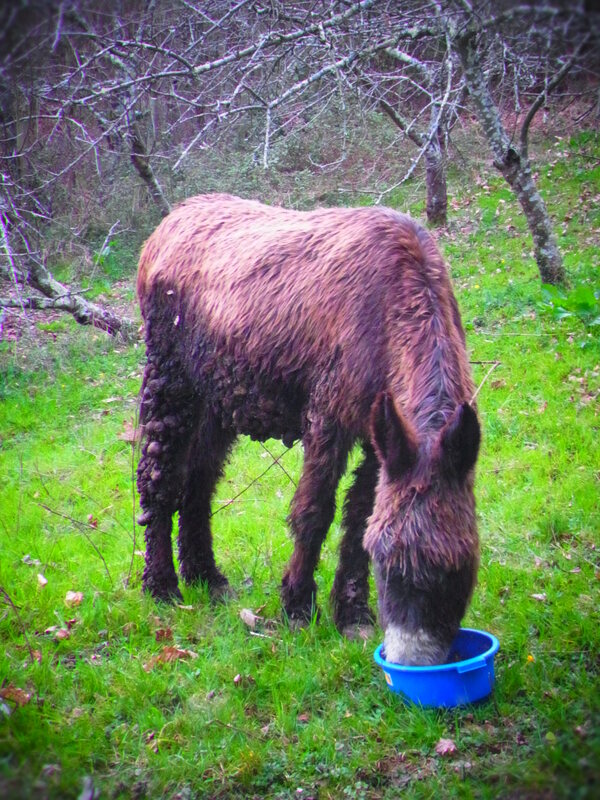 This robust new inhabitant of Donkey Paradise was called Carillo – founder of the Spanish communist party during the civil war. As he is such a friendly old fellow, his name is now Cariño. Anyway, we don’t think he notices the difference! 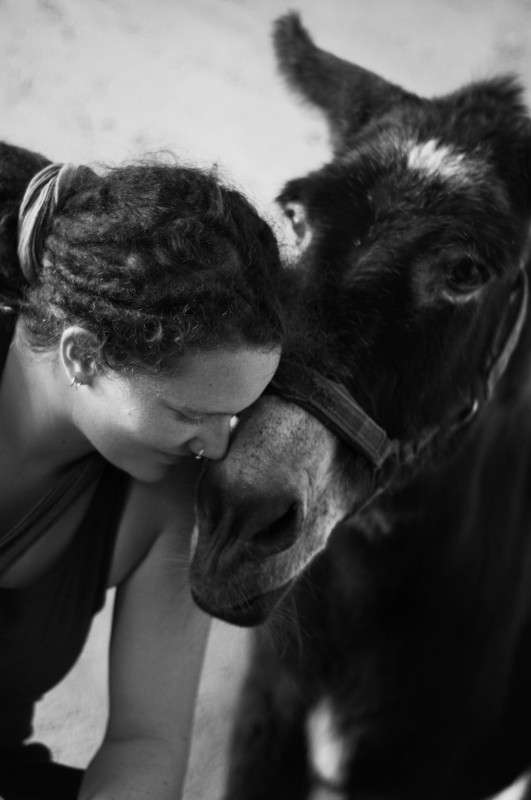 His owner, now 89 years old, couldn’t take care of him any longer and so her daughter started searching the internet until she found our donkey sanctuary. Both mother and daughter loved their hairy friend very much and wanted only the best for him and the rest of his life. Cariño is still very shy and he prefers to stay away a little from the other donkeys. But Caoimhe and he seem to like each other; therefore they share the little stable apart from all the others. His coat needs cleaning and his hooves need to be trimmed, but all in good time! Comments Off on NEW DONKEY FACE AT PARAISO! “I saw a rat in the corridor. Shall I kill it for you?” Our English volunteer Chris had an eager expression on his face. Daisy just appeared in the donkey stable one day. Strange about her was that she didn’t flee when she saw us. Also she moved very, very slowly – which was not so strange since she was really fat. She wasn’t scared of the cats either. They even shared their food with her. 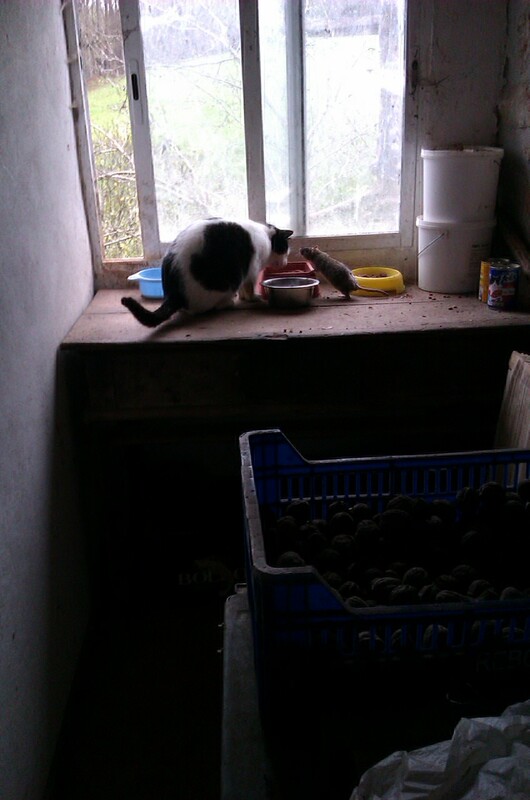 We could hardly believe it, but the proof is in the picture that Roisin, our other English volunteer, took. One day she just disappeared as she’d come and we never saw her again. Maybe she left us her offspring – because rats in the donkey stables we always have. But no more Daisies, to our regret. Luckily we still have Roisin’s photo of Bas, the cat, and Daisy, the rat.